A set of 40 reading comprehension passages with questions. All are fictional. 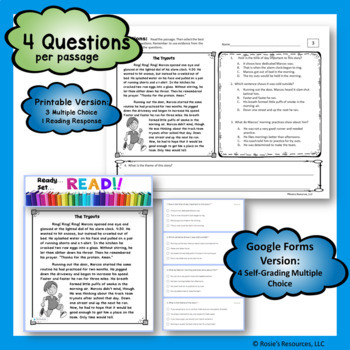 All are written specifically in the 4th grade stretch reading level band and specifically cover 4th grade objectives. They are short, complex texts. These short texts can be used to master specific skills in a limited amount of class time. They can be used as warm-up work, bell work, test prep, small group instruction, homework, intervention, or sub work. ⭐ Important Note: These passages are also included in my 4th grade Daily Reading Reviews, Quarters 1 through 4. So if you own those, you already own these passages. These fiction passages have been broken out for teachers who need only the fiction genre. 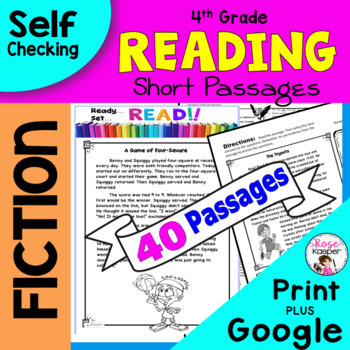 ❤️️ If you would rather have the entire 4th Grade Daily Reading Review with 180 short passages covering all genres, click here. Please see the PREVIEW above to see everything that’s included. ★ Thank you so much for creating this resource. It is the best reading review I have used. I love how the kiddos have to write along with the multiple choice questions. Wonderful product. ★ This has worked great for my reading warm-up. My students are improving their reading skills everyday. ★ Love being able to see student mastery at a glance like this! Thanks so much! ★ I use this as independent practice in my resource room. I bound them into a workbook. Perfect addition to our rotations! 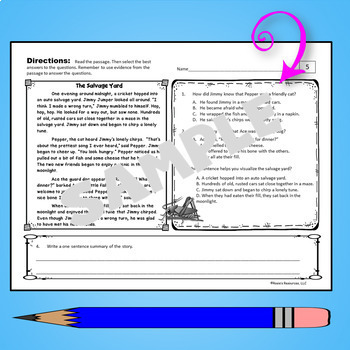 ★ This resource really helped keep my students engaged. Thank you. ★ This has made the perfect resource for weekly reading homework. Thank you. 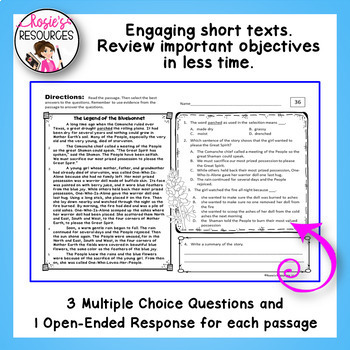 ★ Great resource - my students love the passages and questions are much deeper thinking! !